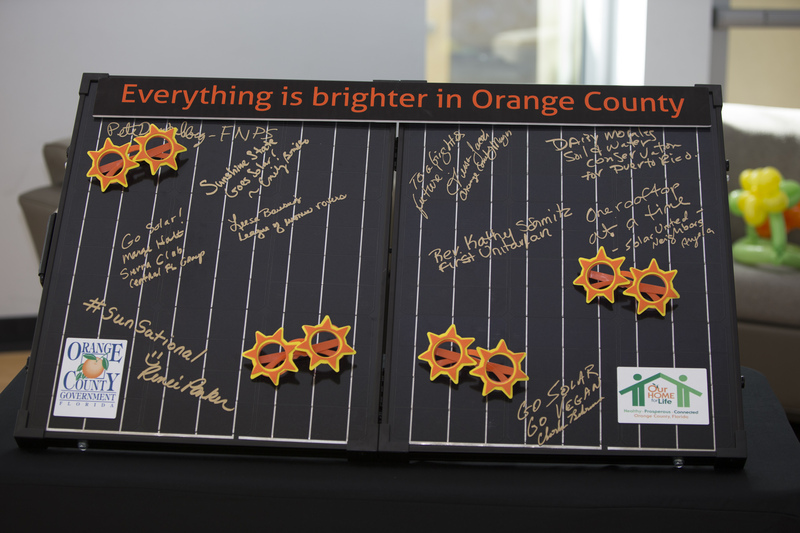 Orange County is building on the momentum of the state’s largest and most successful solar co-op by again partnering with Solar United Neighbors of Florida to bring two additional solar co-ops to residents and business owners in 2018. 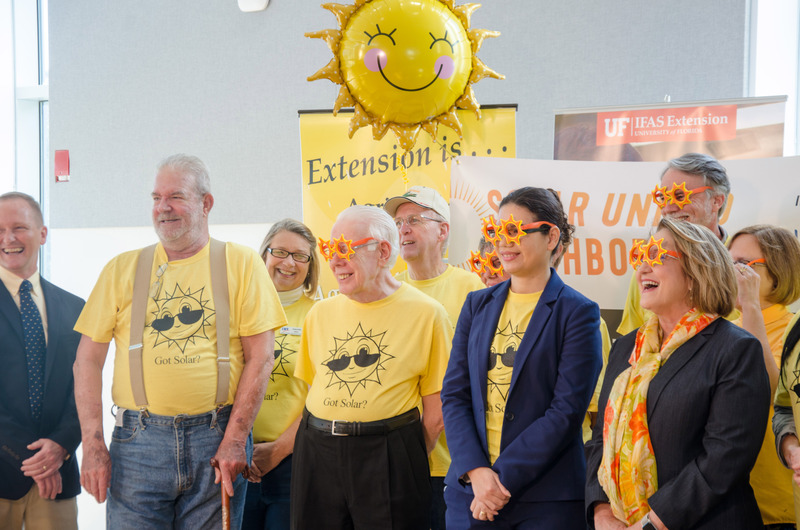 Orange County Mayor Teresa Jacobs, representatives from Orange County Government and Solar United Neighbors of Florida came together on Jan. 22 at the UF Institute of Food and Agricultural Sciences Orange County Extension to launch two new solar co-ops – one in East and West Orange County. The East Orange County Co-Op. will run through April 2018 and the West Orange County Co-op will launch in April 2018 and run through June 2018. Solar co-ops provide bulk discounts – between 15 and 33 percent – for a group of homeowners interested in purchasing solar panels. 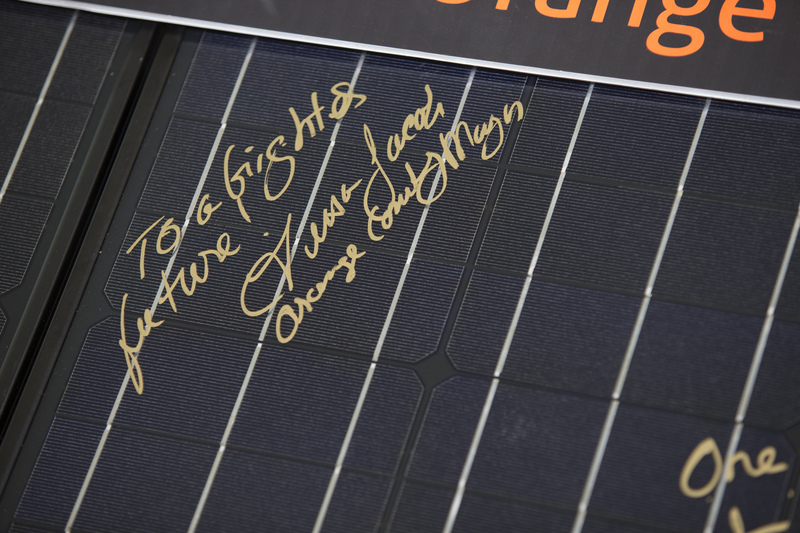 As part of a solar co-op, each participant signs an individual contract with the group-chosen installer, and all participants benefit from the discount. 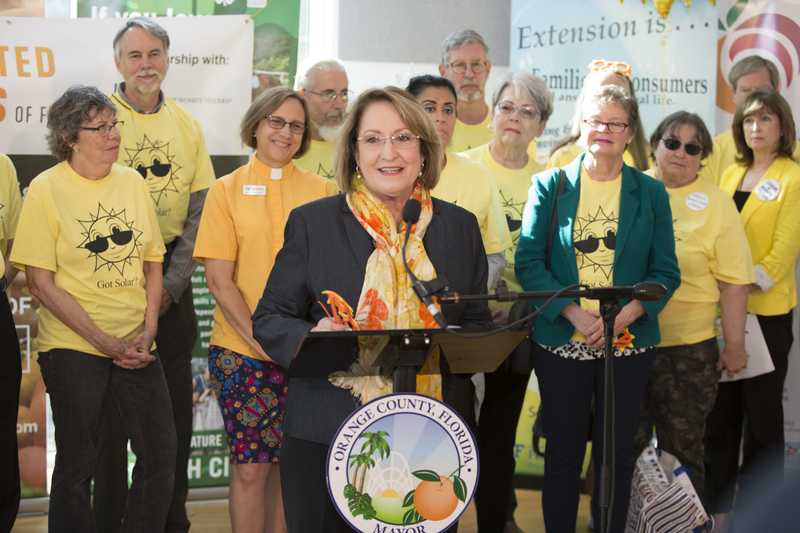 All homeowners who reside in Orange County, including in city jurisdictions, are eligible to participate in their respective co-op. 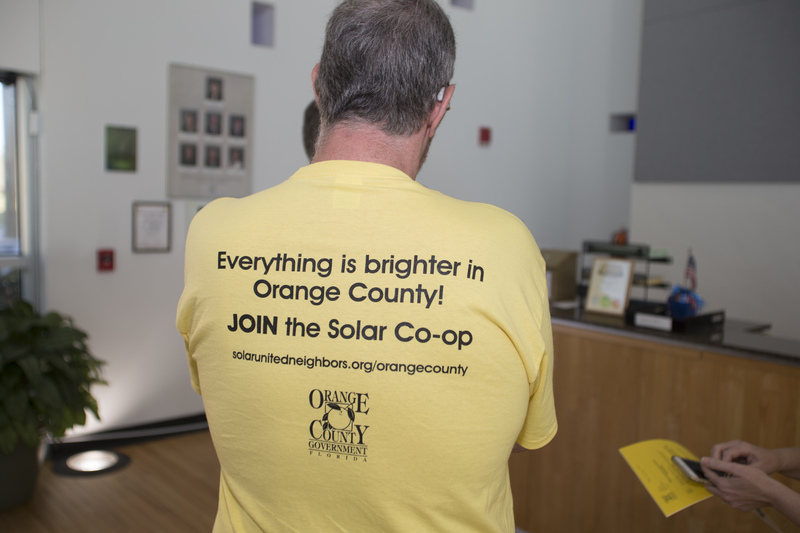 Orange County launched its first solar co-op in the summer of 2016 with 515 participants. 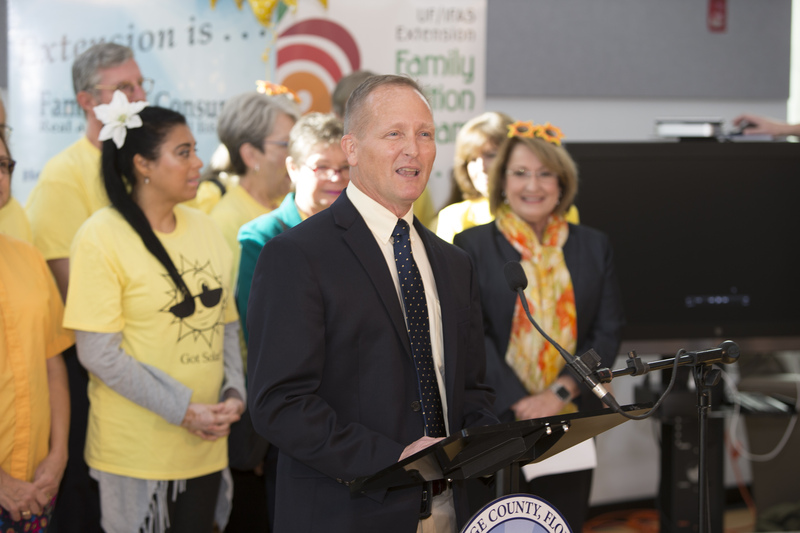 Of those households, 79 installed solar through the co-op, accounting for 702.83 kW of new solar capacity in the County. In addition, $1.3 million was invested in solar with this co-op with a total energy savings over a lifetime of solar array of $3.5 million. 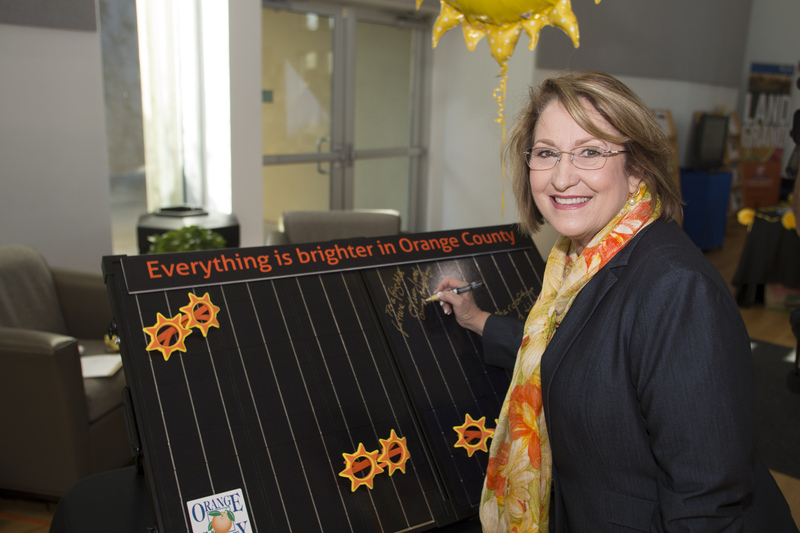 Orange County Mayor Teresa Jacobs and her family were among the 79 households who joined this first solar co-op. 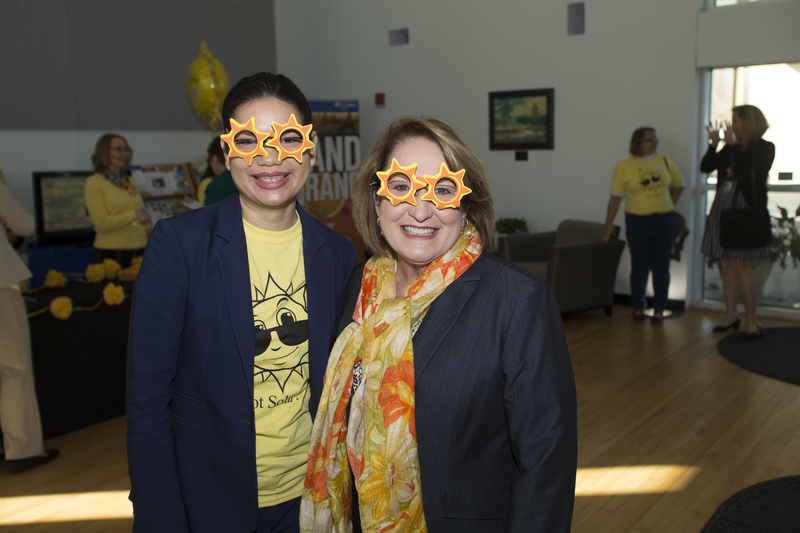 Solar power also supports Jacobs’ goals in her Sustainability Initiative, “Our Home for Life,” which seeks to reduce barriers to alternative energy and increase renewable energy production by 10 percent in 2020 and 25 percent by 2040. 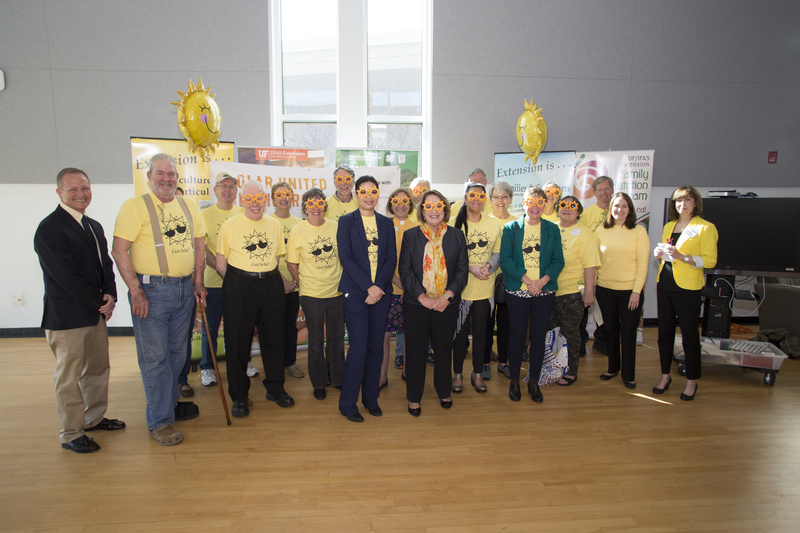 “Orange County Government partners with Solar United Neighbors of Florida because they have a proven track record of being a local nonprofit that operates in 17 Florida counties and has more than 2,700 solar co-op members,” said Renee Parker, environmental programs administrator of Orange County Environmental Protection Division. Joining a co-op does not obligate members to purchase panels. The exact price of a Photovoltaic (PV) system is dependent on homeowners’ preference in system size and their home’s energy consumption. Homeowners have the option to install the size PV system that fits their budget. 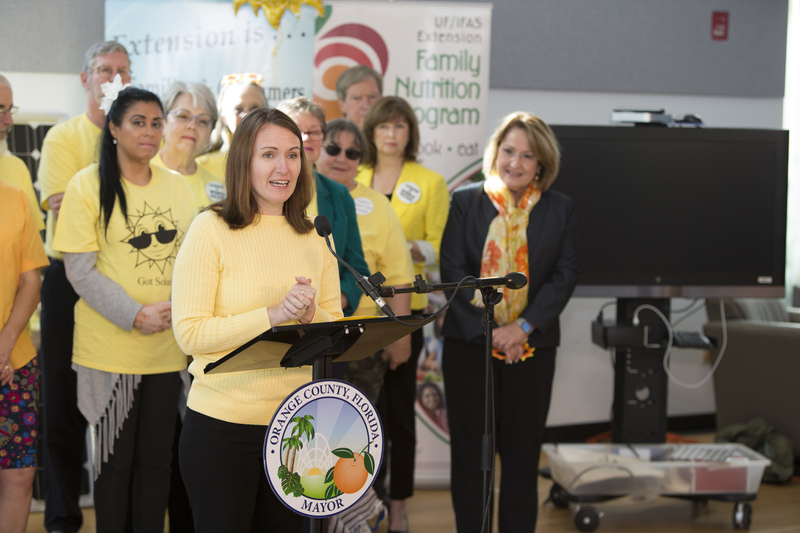 The partnership is also supported by the Florida League of Women Voters of Orange County. As part of this initiative, Orange County streamlines the permitting process for solar installations. New solar permits can be processed in a single day. 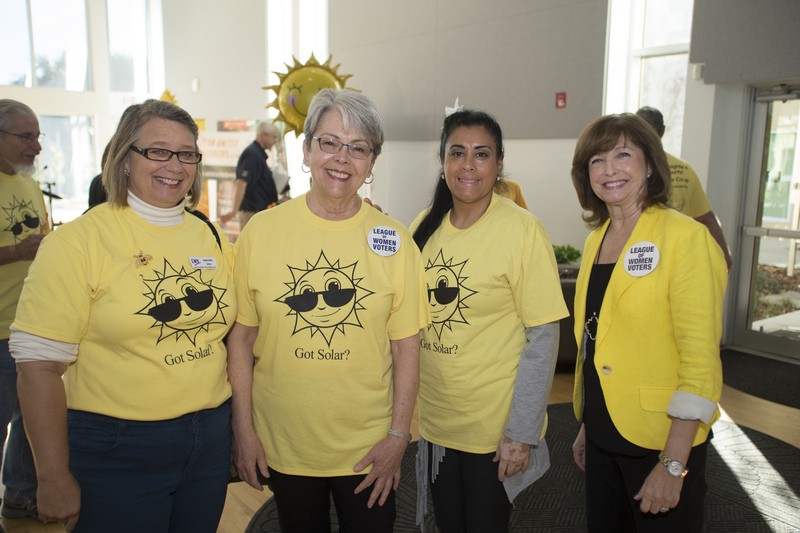 Wednesday, January 31, 2018, 6 p.m. to 7:30 p.m.
Wednesday, February 28, 2018, 6 p.m. to 7:30 p.m.
For more information about solar in Orange County visit http://www.ocfl.net/solar.